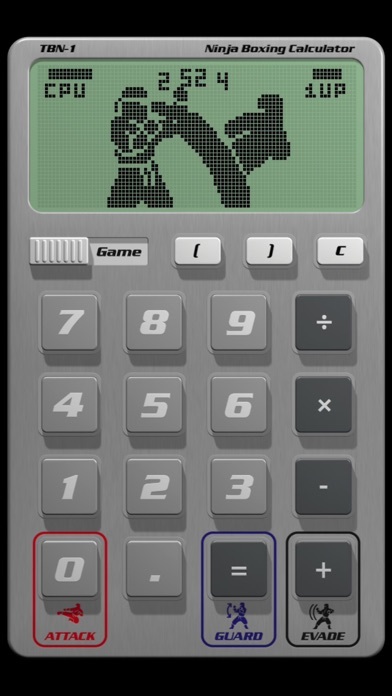 Ninja Boxing Calculator is the best RETRO fighting experience on the App Store, with jaw-dropping LCD graphics, fantastic animation, 100 hard-to-beat levels, and a calculator that can master the most complex equations. 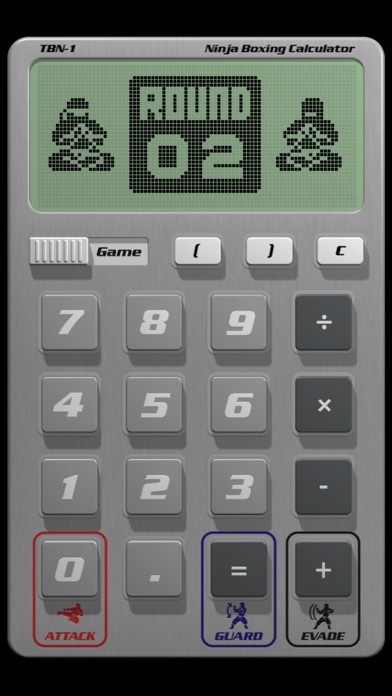 Rated 95% Fantastic by SentralGamer.Com: "one of this year’s most innovative releases on the App Store." 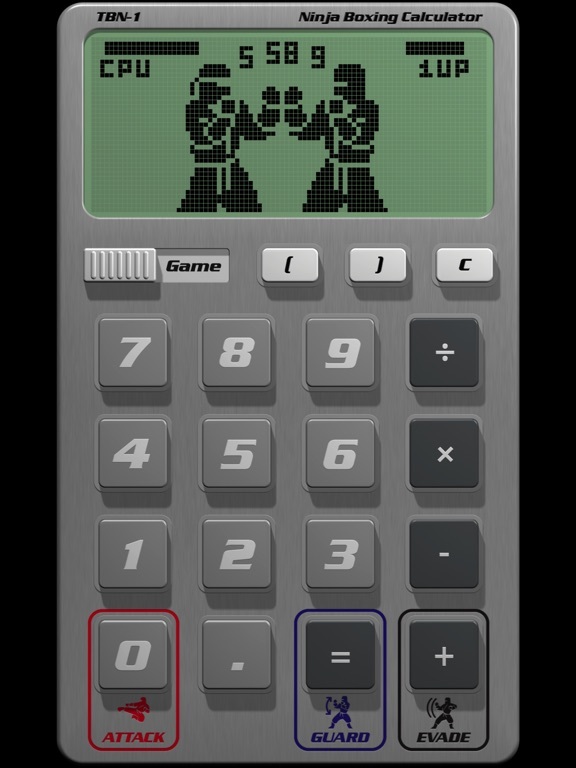 148 APPS - "As a retro curiosity and historical piece, Ninja Boxing Calculator does the job." 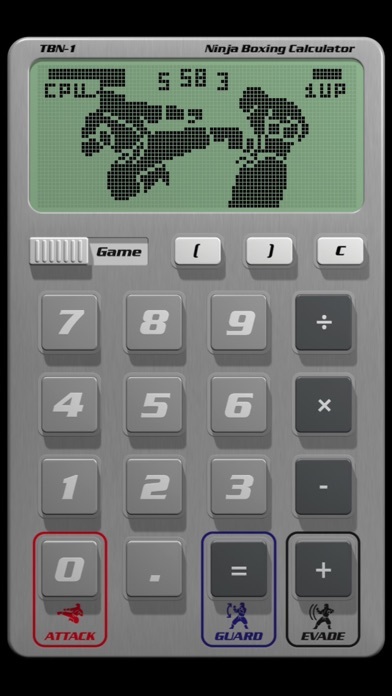 Immerse yourself in an authentic, adrenaline pumping retro gaming action thanks to jaw-dropping LCD matrix graphics, realistic pixel animation and spot-on sound design. 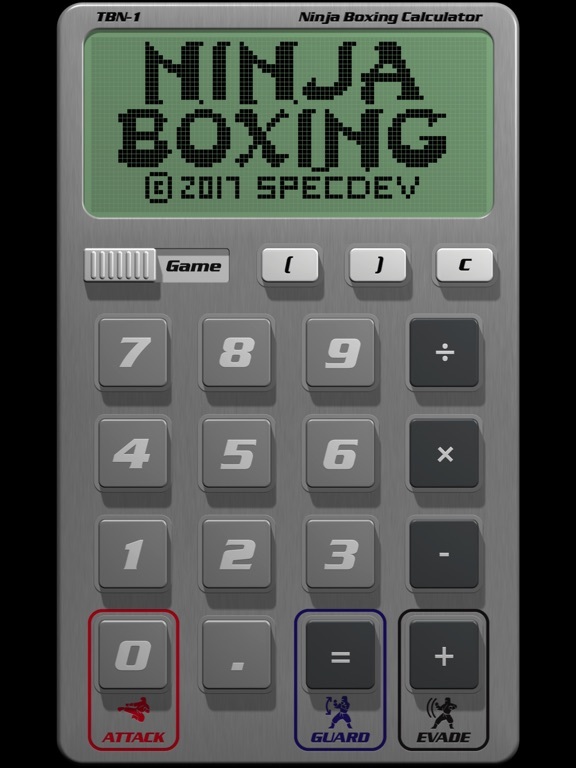 Fight using a variety of devastating punches and kicks. Tip the odds in your favour by dodging attacks to earn game-changing jumping kicks. Feel every kick, punch and impact thanks to super-responsive controls. 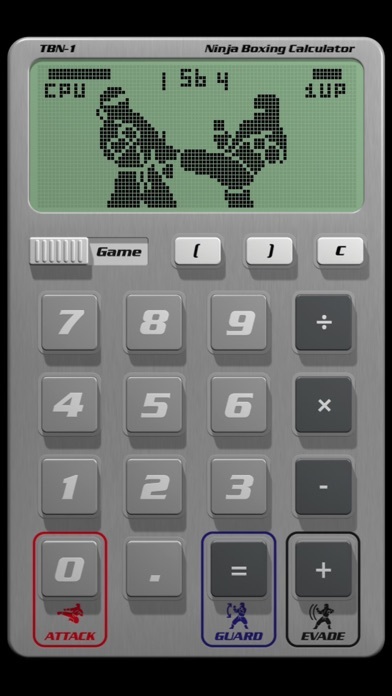 Superior fighting skills require careful calculation, and no abacus beats Ninja Boxing Calculator at equations. The hardest and longest equations present no challenge to the power you'll have in your hands. One hundred fights, that's the number we figured when we were kids. One hundred street fights and you can consider yourself a legitimate tough guy. So Win 100 matches. Capture a screenshot of what happens next. Post it to Twitter #EpicNinjaGameEndings. Become famous. Don't miss out! Touch that blue buy button now! - Support for iOS 11. - Punched so hard you crashed the game? We fixed it! Now shoot for level 100 with confidence! 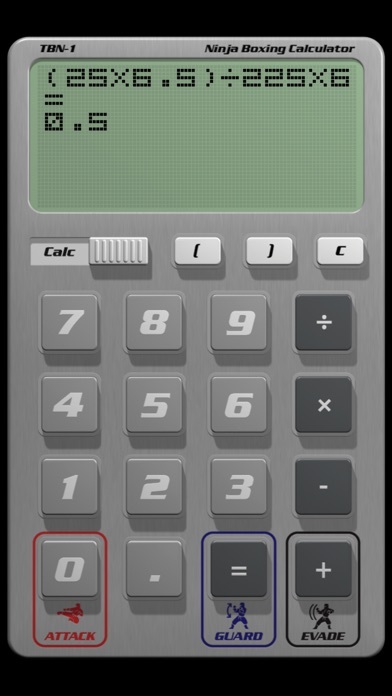 - Support for the latest iPad: different calculator sizes for both landscape & portrait.